Ask students if they believe in bad luck. Do they think some people are fated to lose, or do these people just make mistakes? Tell them that Constitution once had a captain who seemed ill-fated. William Bainbridge was the captain of Philadelphia (see Lesson 6) when she ran aground in the port of Tripoli and was captured by Barbary corsairs in 1803. But this was not his only brush with misfortune. 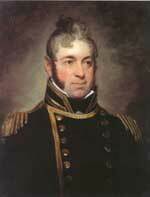 He was the first United States Navy captain to surrender his ship to an enemywithout firing a shotin a conflict with France before the Barbary wars. In the fall of 1812, at the end of those glorious days under Captain Hull (see Lesson 7), the command of Constitution was to pass to none other than the notorious Commodore Bainbridge. The crew was outraged. Constitution sailed out of Boston harbor with a fearful and defiant crew on the verge of mutiny, hardly the makings for success. Before reading aloud the following account of Constitutions encounter with Java, you might want to review the terms mainsail, royals, flying jib, foretopgallant, staysail, foremast, mainmast, mizzen and bowsprit from lessons 2 and 3 and define the terms in bold below. On a large map, trace Constitutions route outlined in paragraph one below. Also ask for volunteers to identify the meaning of bow (front), stern (back), port (left) and starboard (right). Departing Boston on 27 October 1812, in company with war-brig USS Hornet, ... Bainbridge had decided to follow the broad wind patterns of the Atlantic, sweeping across to the Cape Verde Islands, then southwest below the Equator to the sea lanes off Brazil, where the British had considerable trade. If all went well, his small force would raise a ruckus like a fox in a chicken coop and draw stronger British forces away from the United States. Between 9 and 10 A.M. on 29 December, the Americans sighted two sails along the coast of Brazil in the vicinity of San Salvador (Bahia today). The day was pleasant and the sea nearly calm; the wind was light. By about 1:26 P.M., Bainbridge judged from the impressive speed of the approaching sail that this was an enemy frigate closing in on Constitution. He turned toward the opponent, taking in his mainsail and royals and clearing for action. At 2:30 P.M., Constitutions wheel was shot away and Bainbridge was wounded from the flying splinters, this time deep in the muscles of his right thigh. He remained completely in command, and quickly issued orders to rig steering to the tiller in the wardroom pantry two decks below. 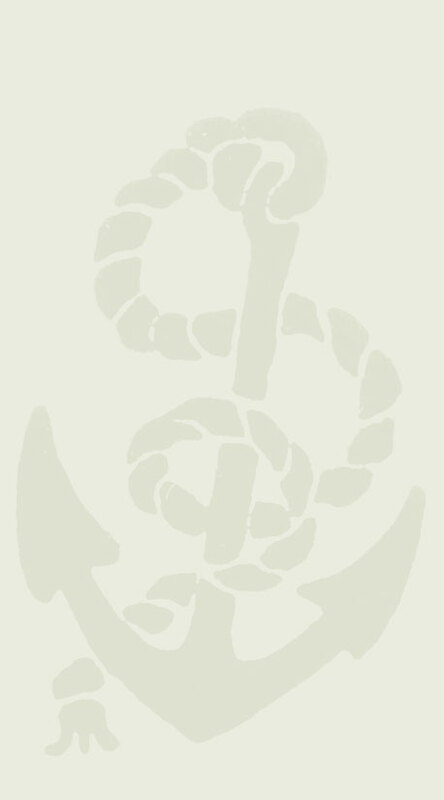 A line of midshipmen was established to pass his orders down to the two teams manning the ropes deep in the bowels of the ship. It was terribly slow, but the inspired American crew strained to make it work. Now the advantage seemed to be shifting to the Americans. English gunfire was becoming less accurate than it had been during those first broadsides, and damage made her less maneuverable, offsetting in part Constitutions lack of a wheel and slower speed. The English Captain decided his best tactic was to close and take his adversary by boarding. Instead, a misjudgment caused him to run his bowsprit into Constitutions mizzen rigging, hanging him up. There, with only one of his guns able to bear, he had to suffer the full weight of Constitutions metal and the hail of musketry from her well-trained Marines. The enemys foremast was severed just below the fighting top and plunged through two decks; then his maintopmast went. The resultant tangle of wreckage further disorganized his gun crews. As they separated, Bainbridge wore once more and brought his ship up under the enemys stern, where he loosed a blazing raking fire. Crossing, he wore still again and unleashed a rake from his starboard batteries. He then drew alongside and let fly with everything at close range. The enemys remaining section of foremast was shot away. In another ten minutes, the enemy had lost his main yard and both gaff and spanker boom. All this time, the Englishman attempted to return Constitutions devastating fire, but the tangled wreckage encumbering his starboard side flamed each time he shot. His cannon went still one by one until shortly after 4 P.M., when silence reigned. 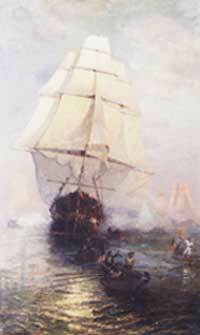 His colors having disappeared from the main rigging, Commodore Bainbridge assumed his opponent had surrendered, and he took his ship off a short distance to effect necessary repairs before closing and taking possession. But the Englishman had not surrendered. A staysail was rigged to replace the foremast and the bowsprit in an effort to bring the ship under some control. As this was being done, the damaged mainmast tottered and fell. When Constitution began to close once more, an hour later, the British had rehoisted an ensign to the mizzen stump and were trying to set more sail. Seeing that the American was taking a raking position across his bow, the British lieutenant wisely hauled down his flag. It was about 5:30 P.M. In Constitution, the crew gave three hearty cheers. Bainbridge had his victory at last.